In 2004 Didymo established in NZ, We have fought to keep Didymo from the North Island and to date it has not occured here. Alarmingly another aquatic pest Lake Snot has been found in 3 South Island Lakes. I have copied from Stuff this report. I believe that CHECK CLEAN DRY is our hope until we are advised further. “Lake snot” attached to a water filter in Wanaka. The substance has now been found in three South Island lakes. 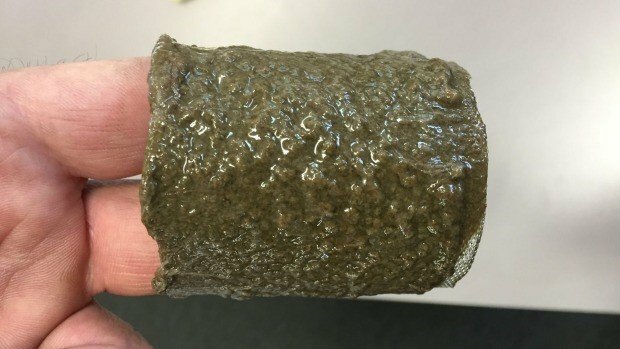 A rare, snot-like slime which clings to swimmers and clogs water filters is spreading through South Island lakes, scientists say. It has been compared to didymo, the nuisance algae which has plagued rivers around the country over the last decade. “Lake snot” – a mucous-like substance produced by the algae cyclotella and known overseas as “lake snow” – has been observed in three South Island lakes. 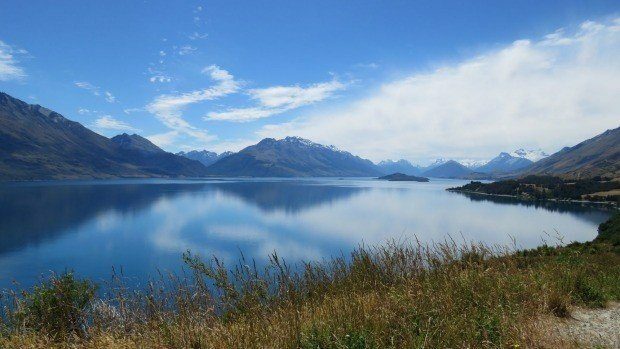 Last month, slime taken from Lake Wakatipu was confirmed as lake snot. The algae was also found on a fishing line at Lake Coleridge last year, after initially being discovered in Lake Wanaka in 2004. It made its way into Wanaka’s public water supply, clogging filters on household appliances and preventing people from fishing in the lake. The slime is tasteless and poses no risk to human health. It has puzzled scientists, who are yet to find an explanation for why the lake snot originally formed and how it had spread to otherwise healthy lakes. “Lake snot” was found in Lake Wakatipu this year. University of Otago scientist Dr Marc Schallenberg has been studying the algae since 2008, and said it caused problems for residents. He and a team of scientists from Landcare Research and Canada’s Université Laval were hoping to research the effects of lake snot and why it had suddenly appeared in more South Island lakes. “We were scratching our heads as to why this problem should suddenly appear in these relatively unpolluted lakes,” he said. Unlike didymo, which accumulates on a river-bed in a thick mat, cyclotella’s mucous forms into thick strings which hang in the water. It has caused problems for fishing operators, who found the slime attached to their lines. There were reports earlier this year of swimmers at a multi-sport event emerging from Lake Wanaka with lake snot hanging off them, Schallenberg said. The Queenstown-Lakes District Council said it was well aware of the issue and that lake snot was present in both of the council’s water supply intakes. It had trialled a new water treatment system which would remove the algae from the supply. “When this unpleasant material stops you fishing, sticks to you when you’re swimming and clogs the water filters on your washing machine, dishwasher and sprinkler, you get the picture pretty quickly,” Schallenberg said. The scientists had several hypotheses regarding the emergence of the lake snot. Climate change and agricultural intensification were possible factors. Further research had been stymied by a lack of funding, Schallenberg said. “I’m not sure if this reflects the general low levels of investment in science in New Zealand or that there is a reticence by governments to support research into emerging environmental problems for fear that our reputation as ‘clean-green’ country will be tarnished.